Bragg Liquid Aminos are made from natural soybeans and purified water. NON-GMO project verified & gluten-free, they are an excellent, gourmet alternative to tamari and soy sauce and contain no alcohol. Vegetable protein from Soyabeans mixed with purfied water. 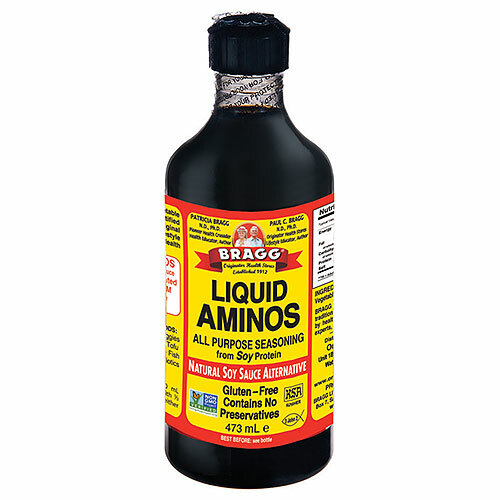 Below are reviews of Bragg Liquid Aminos - 473ml by bodykind customers. If you have tried this product we'd love to hear what you think so please leave a review. I love Braggs Liquid Aminos on my salad, and I also use it on my eggs instead of salt. It makes everything delicious.